UNISON members will lobby Edinburgh Council on 12 Feb at 08.30 at the City Chambers against cuts that could mean the loss of 1200 jobs. 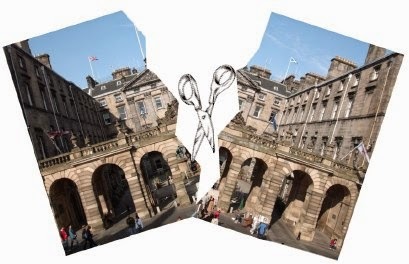 Edinburgh Council faces even more cuts this year on top of the millions already cut year after year. Our local services can’t survive any more of this. 40,000 jobs have been lost in local government across Scotland in recent years. In any other industry that would bring political calls for a rescue package. These jobs are people. It is people that provide council services like cleansing, home care, public safety, roads, trading standards, child protection, residential homes and much much more. The cuts also affect workers in the voluntary sector who provide services for the public. In fact the cuts affect everyone in Edinburgh. The vicious circle of cuts, less money in the economy and less tax coming in leads to even more cuts. Everyone is worse off. Council workers, the people that rely on council services and local businesses. The cuts are dressed up as a reorganisation but they are still cuts. Nobody is against better ways of providing public services but the nature of local services is that they need people to provide them. A computer can’t deliver home care. The internet won’t collect the bins. That takes people and 1,200 of them could go with those left behind under intolerable pressure to carry on trying to deliver your services. UNISON represents the people who deliver your services. Join us now to tell the council that we support Edinburgh’s services and we want them to do the same!